This Rafting Trip Epitomized What Life Should Be About and Made Me Feel Alive Again! Before taking this trip, I didn't realize how much the grind of everyday life had beaten me down. At 57 years of age, the pressures of work, home, technology, traffic, rude people, etc. had made me feel tired and worn down. I desperately needed something to restore my zest for life. This trip offered the opportunity for the true experience of a lifetime. 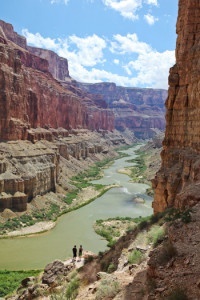 I had always had a visit to the Grand Canyon on my "bucket list" but I didn't want to just visit the South Rim and look out at the Canyon. I wanted to experience the grandeur and history of this wonder of nature. 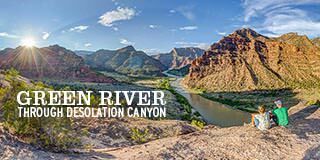 What better way could there be to accomplish this than by rafting through the entire Canyon down 188 miles of the wild Colorado River and communing with this remarkable spectacle of nature the way it was intended to be experienced. 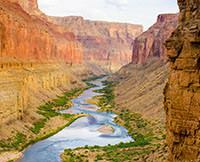 Western River Expeditions offered the opportunity to do just that and more. The only problem was, I wanted this to be a "solo" experience and didn't want to have 17 other people from around the world intruding on my trip of a lifetime. I couldn't possibly have been more wrong. After taking this trip, I now realize how wonderful it was to experience it with 17 other brave people. My new "river family" is amazing!! I miss them all so much already but I know we will forever stay in touch. The comraderie we developed over our seven days together is really unexplainable. We were just 18 people united by a common desire to have a WOW experience with nature and explore the wonders of the Grand Canyon. We are all now forever joined by the memories of our experiences. I think back now, that as I saw smaller rafts from other adventure companies with just a guide/oarsman and one or two vacationers, I felt sorry for them that they weren't getting the same experience that I was. Please do not mistake the other river rafting companies with Western River! There is no comparison. I am so glad that I chose them to provide me with one of my experiences of a lifetime! 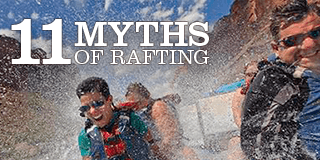 The J-rig rafts exclusive to Western River provided the best, most exhilarating way to enjoy the massive rapids that the Colorado River puts in your way. WHAT A RIDE!!! And the entire experience was made possible by our guides...R.D. and Johnny. They were so much fun and worked so hard for us. We put our lives in their hands for seven days and they delivered everything we wanted and needed. 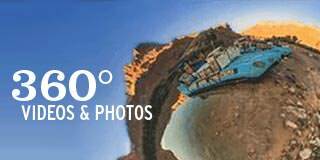 Ask for them as your guides if you want to insure a "trip of a lifetime." Just one more word of advice...if you are going to go on this adventure, don't do it with anyone else other than Western River. And PLEASE, do yourself a favor and take the full seven day trip. I can't imagine how disappointed I would have been if my time had been limited to three or four days. Go for the full trip while you have the chance. You will never be sorry that you did. Thanks to my "river family"...Chris, Manuel, Patrick, Doug, Susan, Doreen, Sophia, Patty, Anita, Brett and Nancy, Bob and Alice, Floyd and Diane, Nathan and Monica. I love you and miss you and can't wait to see all your pictures and movies so I can relive our experience over and over. When I got back into Las Vegas at the end of our trip, I was immediately thrown back into our world...people, traffic, lights, missed phone calls and e-mails, etc. But I now knew I wouldn't let it beat me down again. I still felt alive and rejuvenated by my Grand Canyon/Colorado River experience and I will now always have a "happy place" to return to in my mind when the pressures of life intrude again. There is a difference between life and living...and thanks to Western River and my new "river family" I now understand that difference. The remainder of my life will never be the same. 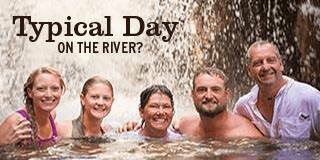 Give yourself the pleasure of living by taking a seven day Western River adventure. You will never forget it.